From where we’re standing, Warner Bros. has a lot of projects brewing in various stages of development. There are the 100% confirmed ones, of course – those being Wonder Woman 2, Aquaman, Shazam!, Suicide Squad 2, Flashpoint – while they’ve also got a number of movies that may or may not happen, like Nightwing, Batgirl, Gotham City Sirens, etc. In fact, the studio has a bad habit of announcing films and then never getting them off the ground, and today, we may have another to add to that list. Furthermore, notorious tipster Umberto Gonzalez also hinted at the project, posting a photo of Hawkman on Twitter with a cryptic emoji not long after Conrad’s report went up. Of course, none of this is to say that such a film actually exists or is even being considered, but this isn’t the first time we’ve heard these two heroes come up in conversation in regards to the DC Extended Universe. 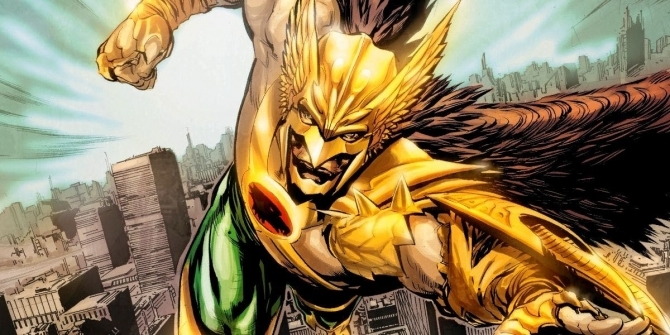 Not only has Hawkman been rumored for his own standalone outing before, but at one point, there was speculation that the duo might appear in Justice League. For those unfamiliar, Hawkman and Hawkgirl are two of the longest-serving JLA members. The latter, in particular, will be a favourite of fans of a certain age as she was upgraded to founding member of the League in the classic Justice League animated series (and its follow-up, Justice League Unlimited). The origins of the crime-fighting couple have been altered a lot over the years, though. Sometimes they’re immortal Egyptians, sometimes they’re alien police officers. For what it’s worth, back when a solo film for Hawkman was being considered, here’s how it was described. Conrad speculates that if this does indeed happen, WB would go with a more sci-fi angle for the characters, rather than the Egyptian route. That way, they could tie them into Green Lantern Corps. Besides, the Arrowverse has already tackled the Egyptian angle and it’d be redundant for DC to do it again on the big screen. But enough guessing. 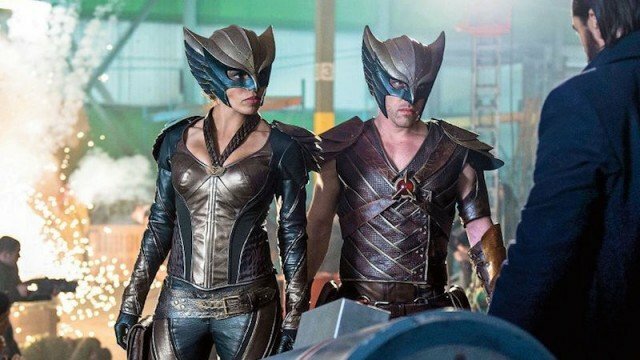 As we said above, this remains very much a rumor for the time being and until that changes, DC fans will have to continue dreaming of the day where they can finally see Hawkman and Hawkgirl suit up in theaters alongside the rest of the League.